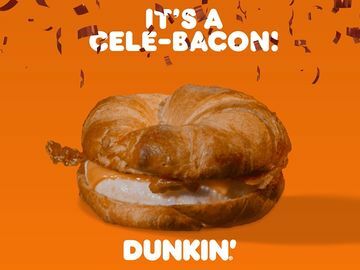 This Saturday, October 26th is National Pumpkin Day and we are inviting everyone to experience pumpkin the Dunkin’ Donuts way. We have an array of pumpkin beverages and bakery items to help keep our fans running this fall. We have brought back some of your favorites like the classic Pumpkin Donut and Munchkins® Donut Hole Treats, and we also created some new delicious treats such as the Frozen Pumpkin Coffee Coolatta® and the Pumpkin Pie Donut. 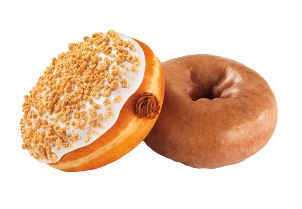 Dunkin’ Donuts’ Pumpkin Pie Donut features a pumpkin pie-flavored, buttercreme-filled yeast shell, frosted with white dipping icing and sprinkled with graham cracker topping. Yum! Dunkin’ fans can savor the flavor of pumpkin seasonal spices of fall with our Pumpkin Donut, a glazed pumpkin cake donut. Guests can also enjoy our Pumpkin Munchkins® Donut Hole Treats and pick-up a 25 or 50 count box at Dunkin’ Donuts restaurants to share with friends and co-workers. 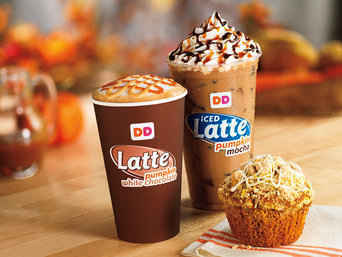 Dunkin’ Donuts’ Pumpkin Muffin is a deliciously-spiced autumn delight topped with white icing and sweet streusel crumbs. 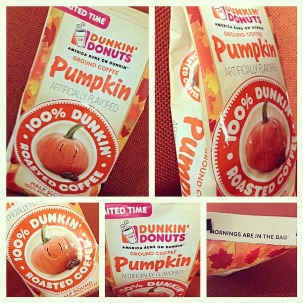 Dunkin’ Donuts’ Frozen Coffee Coolatta® is now available in pumpkin flavor. The Frozen Pumpkin Coffee Coolatta® combines the taste of pumpkin with the flavor of Dunkin’ Donuts’ coffee in a refreshing frozen treat, for a new and “cool” way to enjoy fall. We’re celebrating the fall season by adding the taste of pumpkin to our coffee and lattes. 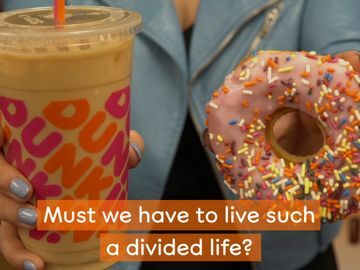 Available hot or iced in three flavors—Pumpkin, Pumpkin Mocha, and Pumpkin White Chocolate—Dunkin’ Donuts coffee and lattes are the perfect accompaniment for a brisk walk, football games, raking leaves or any favorite fall activity. This variety of K-Cup® packs allows our fans to enjoy the taste of Dunkin’ Donuts’ Pumpkin Flavored Coffee in individually-sized portions at home or in the workplace. Dunkin’ K-Cup® packs, for use with Keurig® K-Cup® brewers, are sold exclusively at participating Dunkin’ Donuts restaurants. 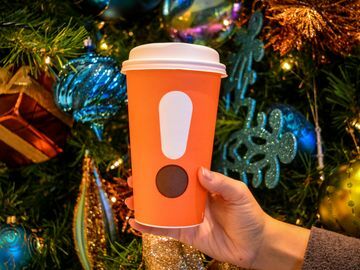 Check out our restaurant locator or our “Find A Dunkin’” feature on the Dunkin’ Mobile® App to find your closest Dunkin’ that carries them. Available in a special 8 oz. 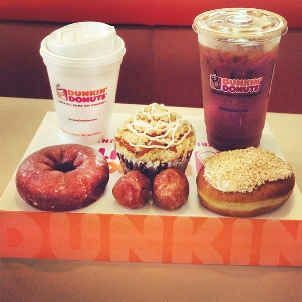 size at participating Dunkin’ Donuts restaurants and from the Dunkin’ Online Shop, pumpkin fans can also brew Dunkin’ Donuts’ Pumpkin Coffee at home this season. 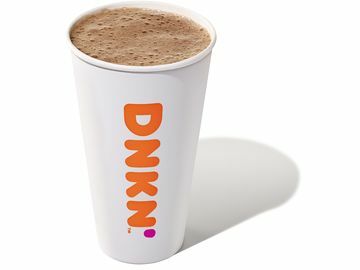 Dunkin’ Pumpkin packaged coffee has a unique blend of 100% Arabica beans with the taste and aroma of pumpkin, nutmeg and cinnamon. It also makes for a wonderful gift for family and friends. No matter what you may be craving, Dunkin’ Donuts has a pumpkin treat for every pallet. 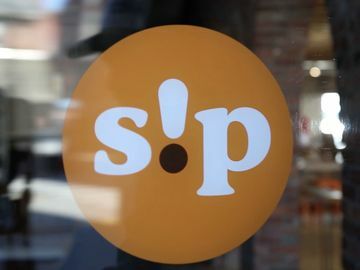 Happy National Pumpkin Day, we hope you enjoy with us! How are you celebrating National Pumpkin Day? Tell us on Facebook and Twitter.